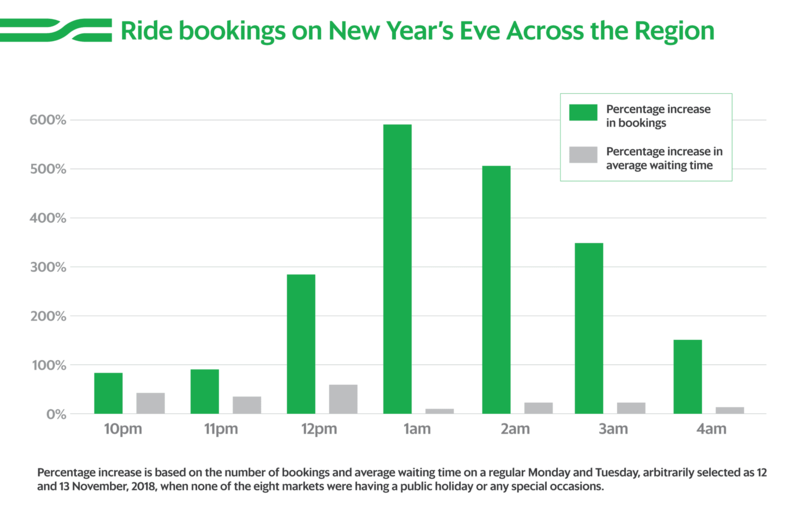 In Singapore, revellers were flocking to Marina Bay Sands and Clarke Quay for fireworks and live music, making these two celebration spots among the top three most popular drop-off and pick-up points of the night. The second most popular drop-off point was Changi Airport – holidaymakers may have been heading home after a long New Year’s Eve weekend in Singapore. 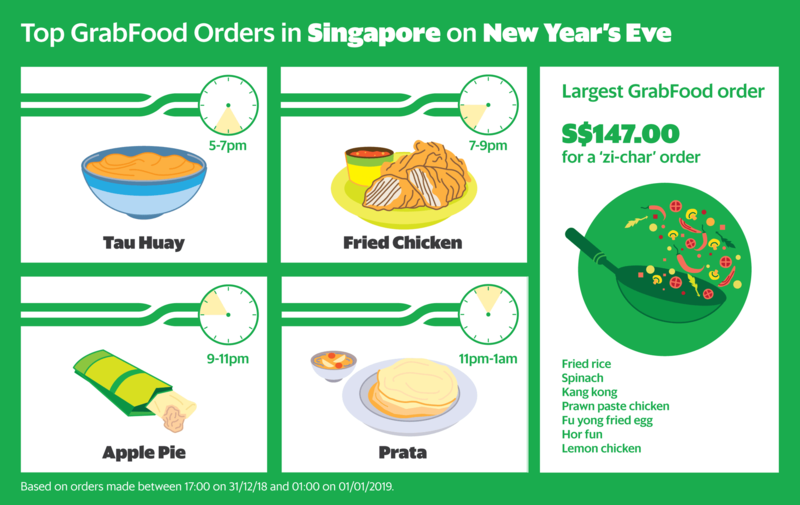 In Singapore, there were 40% more GrabFood orders on New Year’s Eve compared to a regular Monday, and the most popular food items ordered were McDonald’s apple pie, fried chicken and tau huay. We also know that someone had a large zi-char party because they ordered $147 worth of food!